Plot: Without giving anything away, the film is a fascinating documentary about the skateboarding renaissance of the 70s/80s, as well as the birth of vert skating. 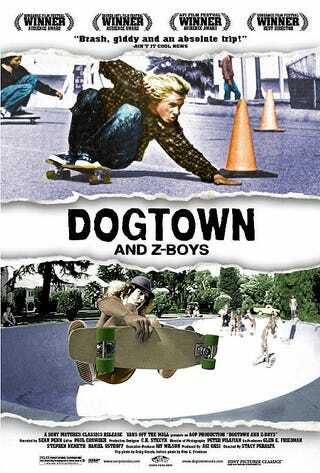 The doc follows a group of skaters in Venice, California ("Dogtown") who were sponsored by the Zephyr Skate Shop. These skaters, originally very territorial surfers, were called the Z-Boys. The film consists of archival footage as well as current interviews with the team members. It follows the incredible rise of both the popularity of skating as well as the popularity of the team members, many of whom were young teens thrust into the spotlight of money and fame. It's also a wonderfully sad cautionary tale of too much, too soon. Why you should watch it: First, it's narrated by Sean Penn. Regardless how you feel about him, he did the narration as a favor to filmmaker Stacy Peralta because Penn himself was a skater and surfer and it's perfect for the subject matter. The soundtrack is a wonderful and eclectic mix of late 70s/early 80s music, and compliments the "homemade movie" footage shot by photojournalists and videographers like Craig Stecyk. As far as documentaries go, it's done surprisingly well, seeing as Peralta didn't really have much under his belt upon making this, mostly just home videos for skaters and some TV experience. If you like skating, hate skating, or fall somewhere in between, this is (subject matter aside) a very well done piece of cinema, one I highly recommend.